I study Spanish in a local school from 8:30-12:30 during the week. After classes, I have a break for two hours. After the break, I volunteer in an orphanage until 5:30. The rest of the evening is mine to spend as I wish. Host Family: The family was very welcoming and warm. They make me feel like part of the family. I was not expecting such kind people. Program: I was surprised about how self-sufficient the girls in the orphanage are. Country: It was shocking how quickly the weather conditions can change here. It can be warm and sunny one moment and then cold and rainy the next. Host Family: In the house, the family speaks Spanish. Although I have studied the language a little in the past, it was very difficult for me to communicate and understand them at first, but I am improving at a rapid pace. Program: Communication continues to be difficult. This is greatly due to the fact that much of the conversation is in a group and not directed at me. It is sometimes difficult to understand the language. Country: I was not expecting to negotiate so much in Cusco. From taxis to local markets, there is often not a set price. For example, a taxi driver may say the taxi ride costs 6 soles, but you can and should argue for a fairer price when the drivers try to overcharge. Make sure to bring clothing for layering. The weather is very volatile. Additionally, the altitude caused me small problems, but I believe the altitude sickness pills I took helped me greatly. Host Family: It is important to understand that the food may be very different than what is typical in other countries. For example, the people here eat a lot more carbohydrates than in my country. It is important to understand that many of the differences that are experienced while abroad are not necessarily bad. They are just different. Program: It is important to communicate with the local coordinator if any problems arise. They likely can help significantly. Communication is key. Country: Cusco is at a very high altitude. It is important to take it easy for the first few days to avoid altitude sickness. I have really enjoyed my time in Peru. 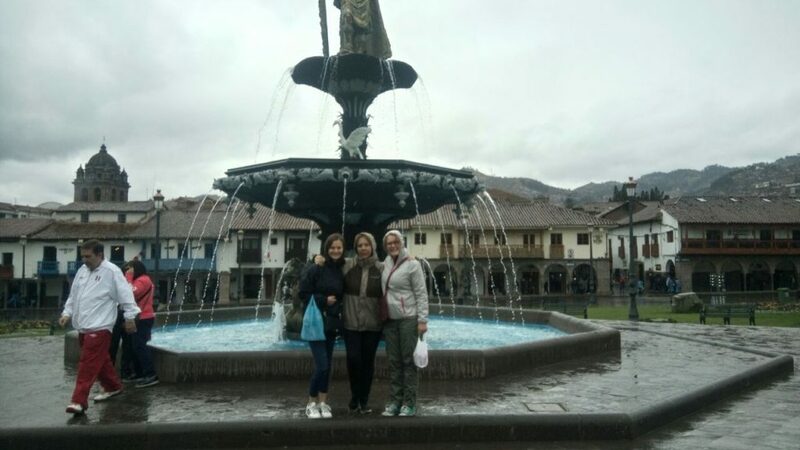 Cusco is a beautiful city with many activities. The girls and workers in the orphanage are quite self-sufficient here. The most important thing the orphanage needs from volunteers are donations. These can range from clothing to school supplies to other necessary materials. Meals: They are normally very good. One should expect lighter breakfasts and dinners and larger lunches. Security: The city feels very safe. Like any city, it is best not to be out alone during the night. This is simply practical. friendliness: Everyone has been friendly here. There have been no problems for me. Quality: The city is beautiful and has many fun activities for volunteers during time away from work. 8.- How was the local ABV Coordinator/staff and the support provided in-country: Airport, orientation, introduction to the program, schedule of the program, friendliness, solving problems? The local coordinator is excellent. She is very friendly and responds quickly to messages. She is willing to help volunteers with any problems or with scheduling travel. Accommodation: I really enjoyed spending the 30th of August with the family. 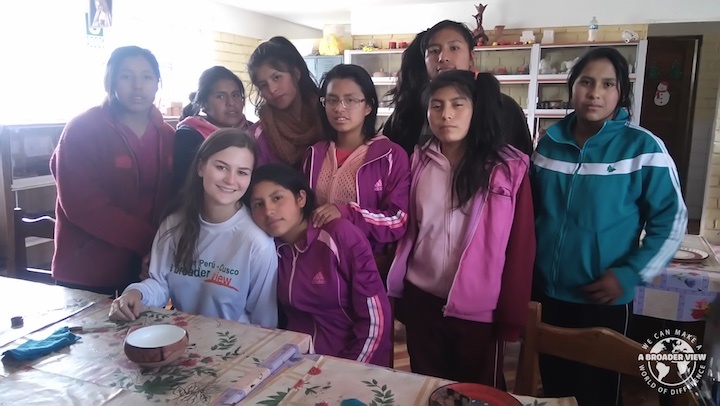 It was a holiday in Peru, and the entire family gathered and ate at a rustic restaurant. It was a beautiful day. Program: I really enjoyed communicating with the girls from the orphanage. I remember my first successful conversation with them in Spanish. It felt very rewarding. Country: I really enjoyed traveling on the weekends and would highly recommend this. Travel was surprisingly inexpensive. I am looking forward to visiting the Rainbow Mountains this weekend. I found Sarah to be very helpful and friendly through emails. I primarily communicated with her. It was very straight forward and easy to understand. I see no problems with it. 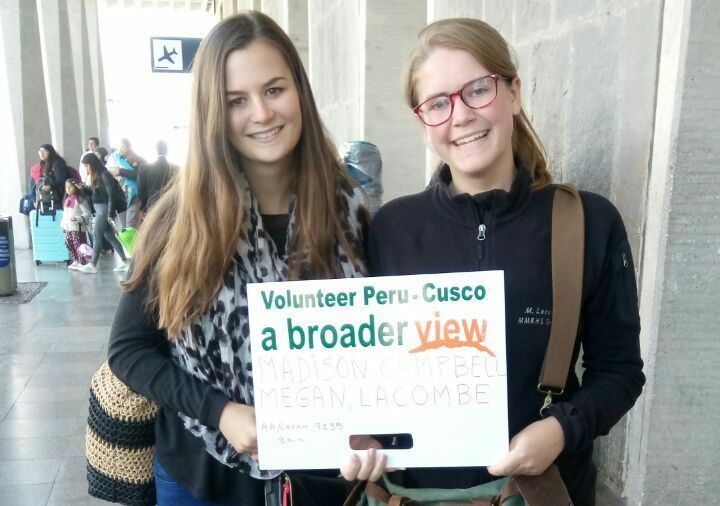 I traveled to Peru with my friend, Megan Lacombe, and she showed me the website for the first time. Yes, I am more than willing to communicate with them.